DELPHI/MELLING ANTI PUMP-UP LIFTERS FOR USE IN SMALL BLOCK OR BIG BLOCK CHEVY ENGINES WITH HYD. FLAT TAPPET CAMS. We have had a vast amount of experience with these type lifters, and rest assured, there are many lifters on the market that are not a true anti-pump up style lifter. Of all the lifters we have ever used, this lifter actually allows the engine to run up to approx 6000 rpm without the dreaded pumping up issue, therefore holding the valves open to a slight degree. Some of the anti-pump up lifters on the market are what we consider too aggressive in design, and create a great deal of noise upon deceleration. Some are much too noisy upon start up also. The Delphi lifter is just perfect. Those running the Lunati Voodoo cams will much appreciate these lifters, as those style cams are very demanding on lifter design. It was on our dyno that we discovered through much trial and error that not just any lifter will work properly with the Voodoo cams. 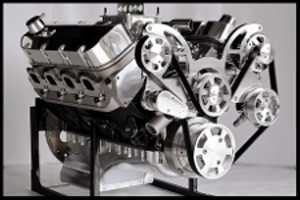 We initially used our Speed Pro lifters in the engine with the Lunati Voodoo cam, # 103 and they simply stopped working around 5000 rpm, or rather, created too much lift from "pumping up" and held the valves slightly open. The Delphi lifters did not do this, and went to 6000 rpm without an issue. 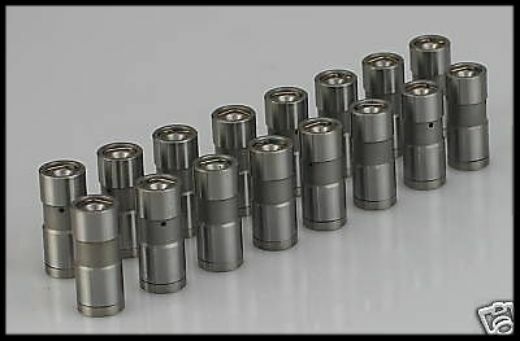 These are the lifters used in our Stage One engine, and are run to around 6000 rpm at the track every race. Our hp peaks at around 6000 rpm in the Stage One engine. A few other great characteristics of these lifters: they do not produce noise at start up or when decelerating. Many of the so-called anti-pump up lifters on the market will do this. As far as durability, the Delphi lifter is just as it should be, perfect. There is nothing special in the making of an anti-pump up lifter, but the design is very critical. This is where many other lifters on the market seem to have failed, in our opinion. As mentioned above, if the design is too aggressive, the lifters will do well as far as not pumping up, but will have many undesirable characteristics. While there are many other brands of anti pump-up lifters on the market, the Delphi lifters are the best in overall value, and this is the foundation of our business. We have contacted the three cam companies we deal with, Crane, Lunati, and Howards, and all highly approve of this lifter. In the past, we marketed these lifters under the former name, "Eaton." They are the exact same lifter. 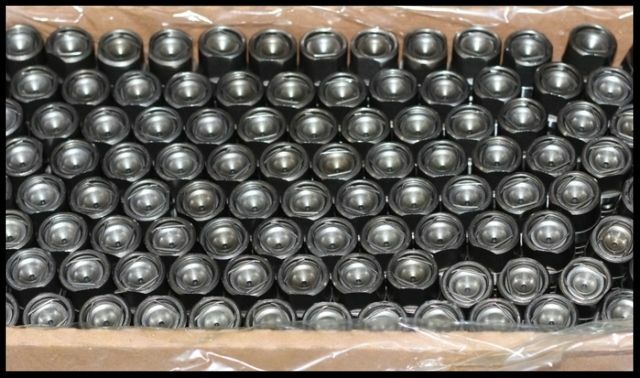 You will receive genuine Delphi/GM lifters. 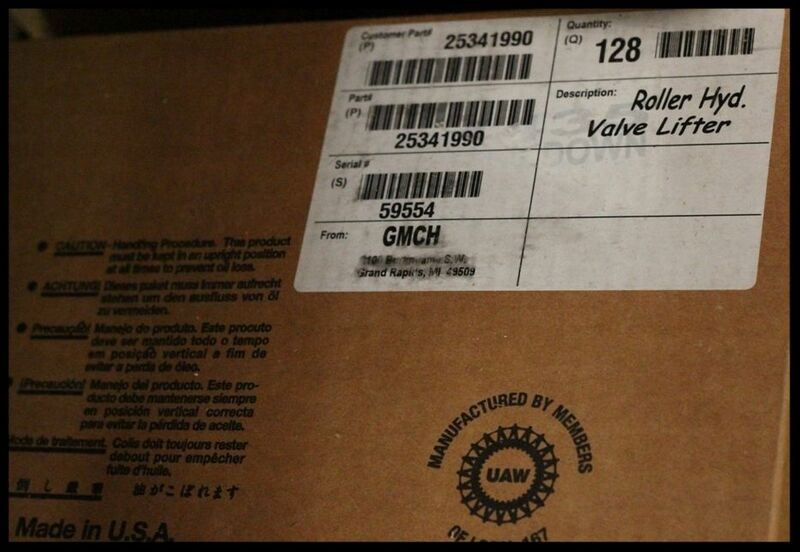 Many sellers are using the 817 part number yet the lifters they are selling may not be the true Delphi lifters. The lifter base and body are made from dissimilar materials joined by a proprietary process. Use nothing but Genuine Delphi lifters. There are many other aspects of lifter quality besides what is mentioned above, such as tolerances, material used, and overall construction. The Delphi lifter is a very good product. 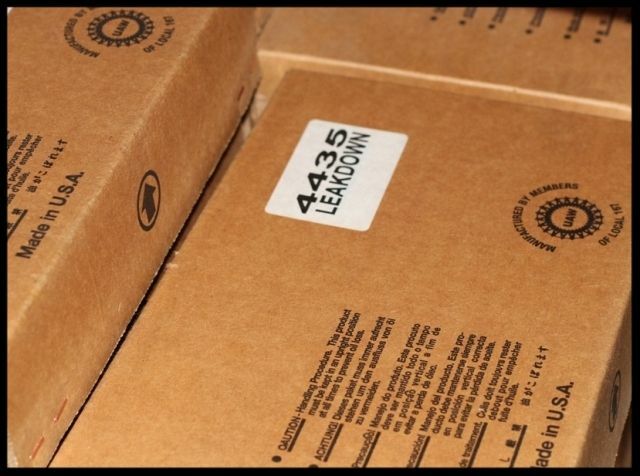 As many of you know, we are a very value based company that sells many ultra low cost products, and we are not blind to the fact that there are many lifters sets on the market that cost less than the Eaton/Delphi brand. We certainly have access to these other brands, but we wouldn't consider anything else. You must heed our warning about using the low cost lifters on the market. We know of the problems with them first hand. 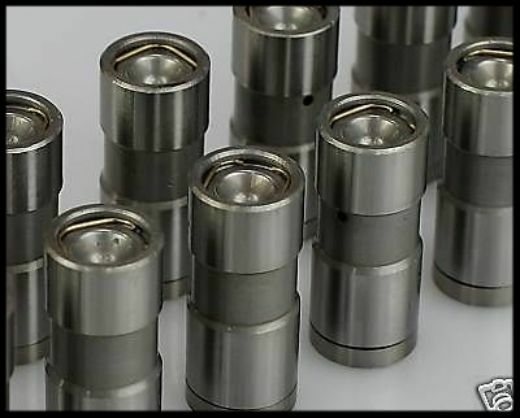 The number one cam killers are inferior lifters, and there are plenty of them on the market. For those in doubt, do a search on Delphi Lifters. They are praised on just about every car forum. We certainly have sold plenty of them, and have had zero cam or lifter failures. 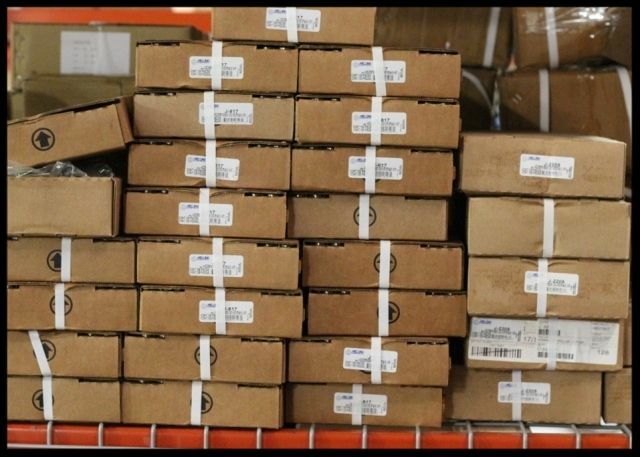 We purchase our lifters in bulk trays of 122 each, as all engine builders do. We use them in all of our engines running a hyd. flat tappet cam. 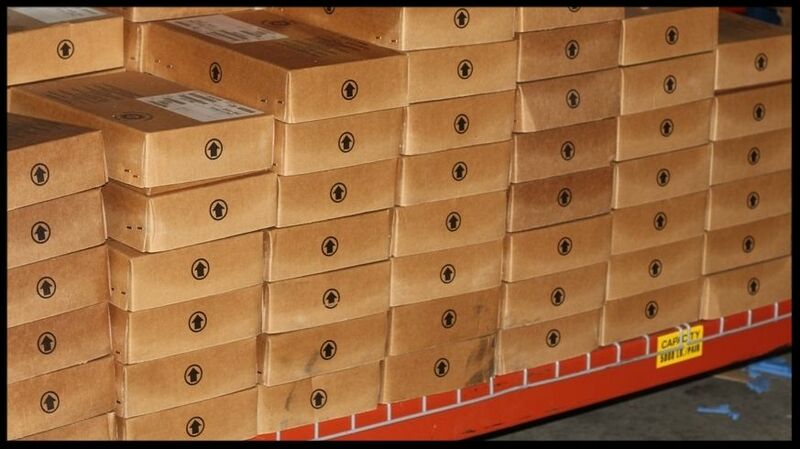 You will receive a complete set of 16 in an unmarked, well protected package. 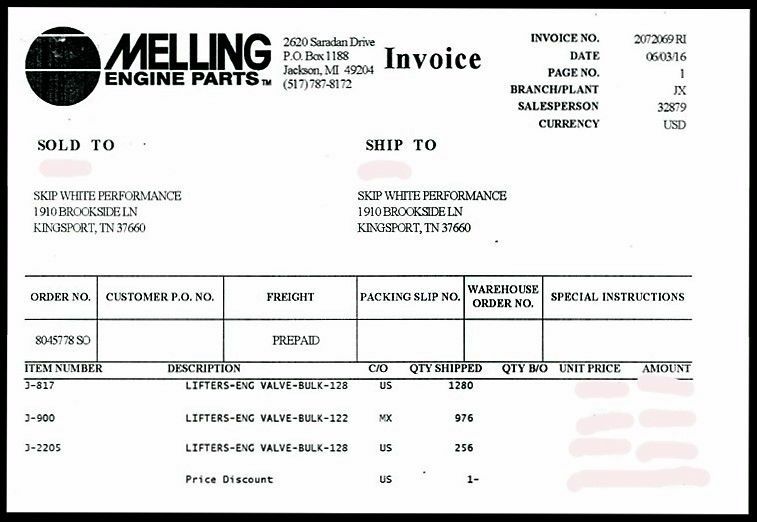 The cost difference is well worth it, but rest assured these are genuine Delphi/Melling lifters.